The work it takes an actor to get in shape for a superhero movie is genuinely astounding, so it's easy to understand why fans love tracking the various ways the stars go about getting pumped up to save the world — and the cast of the Marvel Cinematic Universe is obviously no exception. From Scarlett Johansson's acrobatics as Black Widow to Chris Hemsworth's otherwordly biceps, we're constantly impressed by what these performers manage to do in MCU films. 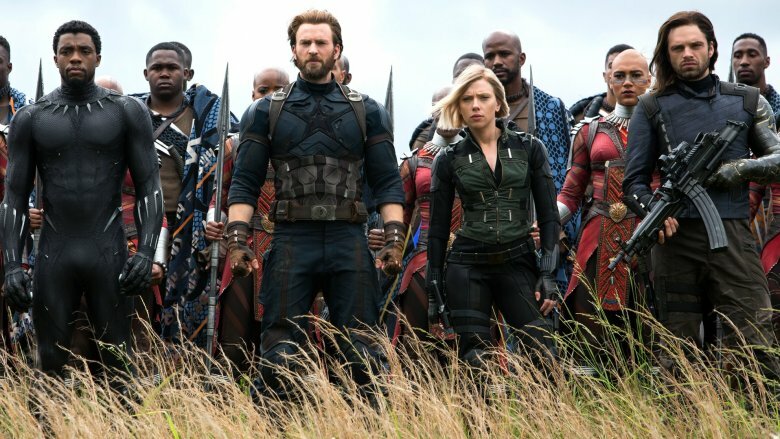 Avengers: Infinity War is easily the biggest, most bombastic Marvel film yet, making it easy to assume the super-sized cast really had to crank it into overdrive to get in shape. To put that theory to the test, we took an in-depth look at the fitness regimens employed by some of your favorite Marvel stars, with an emphasis on the diets and workouts they used leading up to the MCU's big showdown against Thanos. Here's how the cast got ripped for Avengers: Infinity War. Sebastian Stan's friendship with his personal trainer Don Saladino is pretty well documented. They're all over each other's Instagrams, and Saladino has been a key player in getting Stan shredded for his role as the Winter Soldier. Stan stuck with Saladino while prepping for Avengers: Infinity War, and Saladino offered up the key to their training method: keep it heavy. Most bodybuilding workouts tend to involve lifting lighter weights at higher rates of repetition. Instead, Stan and Saladino kicked every day off with big, bulky lifts. "There is this amazing muscle engagement that you can just feel when you pick up a big weight…it just needs to feel heavy." Saladino said in regards to their workout. There are videos on Instagram of their workouts, with plenty of bodybuilding-style lifts. That said, they do often start with a heavier lift at lower reps. It clearly got the job done, as Stan is looking killer as the Winter Soldier in Infinity War. You'd think the key to getting superhero fit would be copious three-a-day workouts and no days off. You wouldn't be completely wrong. Exercise is massively important to getting an actor in shape to play a superhero. That said, don't underestimate the importance of diet. It fuels your body and dictates its physical appearance just as much, if not more, than how many heavy things you lift. Elizabeth Olsen kept this in mind while prepping for Infinity War. Olsen's nutritionist Phillip Goglia has openly discussed Olsen's goals for Scarlet Witch in the new film. He says she focused heavily on body composition. "She wanted to be dense, heavy and athletic," Goglia explained. "She just really nailed it." This meant her diet was radically restructured. She eliminated gluten, dairy, and yeast altogether and ate seven to eight meals per day, largely consisting of fruits, vegetables, and chicken and fish as proteins. It honestly sounds like a nice diet — right up until you remember it means saying no to your favorite two-dollar pizza joint at midnight. Chris Evans has been hitting the gym for nearly ten years now to get in shape to play the Star-Spangled Avenger, Captain America. The results have been pretty spectacular, with Evans' physique being perhaps the most impressive in the entire MCU (and that's really saying something, considering the cast he works with). With that much time spent figuring out how to best physically embody Cap, Evans and his trainer probably had a preferred method picked out once it was time to get ready for Infinity War. As it turns out, variety is the spice of life if you're trying to transform into Captain America. Evans' routine doesn't play up any singular exercise over others. It's not a Crossfit workout, it doesn't focus on powerlifting or bodybuilding, and you don't see him forgoing all single-movement exercises in favor of Olympic lifting. Instead, Evans' workout routine consisted of a variety of exercises, ranging from body-weight movements like pull-ups to weighted ones like classic bicep curls. He incorporated kettlebells pretty heavily as well. The most surprising thing about his workouts is just how approachable they are. Sure, they're going to be a little intense for anyone who's never done them, and you won't get to be as big as Cap without plenty of clean eating to go with it, but Evans' workout can probably be done on your own at your local gym. The hardest thing about a regular fitness routine is motivation. It's hard enough for most of us to even get to the gym on a semi-regular basis. 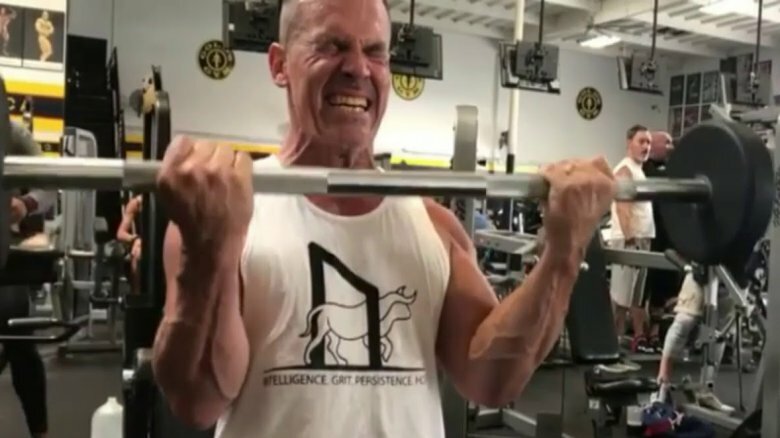 We can't even begin to imagine how hard it is for actors to hit the weight room two, sometimes even three times a day for months and months on end as part of preparation for a movie. There are helpful tips that can make getting to the gym a little more exciting, though. We're partial to the buddy system. Work out with a friend and not only does going to the gym feel like more of a social event, but that friend can encourage you to reach for the best possible workout possible. Look no further than Scarlett Johansson for evidence. Johansson has been playing Black Widow for nearly ten years now, and those constant workouts can get to be awfully monotonous. Johansson's solution? Go to the gym with a friend — in this case, Winter Soldier actor Sebastian Stan. While it doesn't seem to have been an everyday thing, Johansson tagged along for some workouts with Stan and his trainer in preparations for the shoot. Who doesn't love the mental image of Black Widow yelling at a sweaty, exhausted Bucky to squeeze out one more rep? It's pretty obvious that Chris Hemsworth gets huge when he has to suit up as Thor for a new Marvel movie. The sheer size the guy puts on to play the strapping god of thunder is superheroic in its own right. What does Hemsworth tend to give the most focus during his workouts? The answer probably won't surprise you at all. 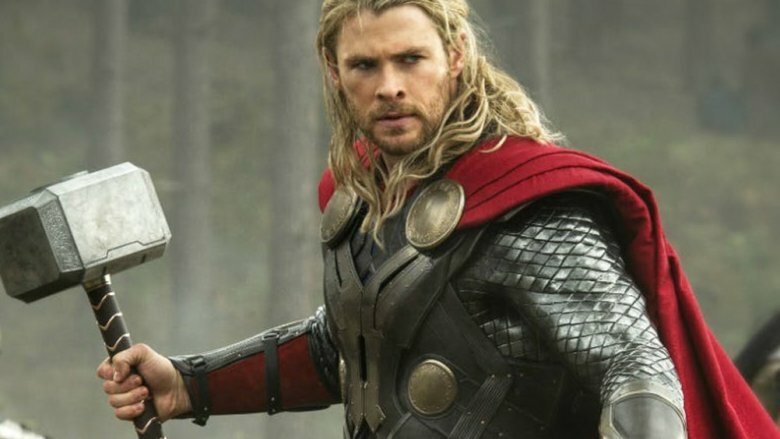 Thor's arms in Marvel films tend to be roughly the size of three or four tree trunks, so his trainer maxes out the days they work those muscles. A photo posted to Instagram by Hemsworth's personal trainer shows the god of thunder in the midst of a strenuous bicep workout that clearly has those muscles working overtime. Hemsworth is already a pretty big dude, but a look at a movie like Vacation shows that he's by no means Thor-sized at all times. It makes the work he puts into getting big enough to play the god of thunder all the more impressive. Ten years into the MCU, most of these actors know the drill when it comes to getting in shape for whatever role they play. With most of the characters in Infinity War being ones we've already seen onscreen, we'd imagine most of these actors knew what they need to do to get ripped enough to embody their roles. Brie Larson, however, is a new addition to the MCU — and as such, needed far more time to get into Captain Marvel shape. How long, you ask? Larson hasn't played a superhero role of any kind before, nor any blockbuster role that has required her to get insanely fit. She very much had to start from square one when prepping for Infinity War and Captain Marvel (it's since been confirmed that she won't be in the final cut of Infinity War, but she prepped for it all the same). All things considered, Larson spent about nine months getting in shape to play Captain Marvel. That is incredible: Nine months of grueling workouts to get you ready to play a superhero is nothing to scoff at. We tend to assume actors who play superheroes in blockbuster films get in shape for aesthetic purposes. They're playing characters who have, for decades, been portrayed as insanely fit people. If you want to play a superhero successfully, you've got to look the part. What seems to get lost, though, is why superheroes have to be so shredded to begin with: Even the most artistic superhero films feature a fight scene or two. These actors have to get into shape so we believe they can singlehandedly punch evil into oblivion. Considering this, it makes all the more sense that Tom Holland wasn't simply content with looking good as Spider-Man. He doubled down and got into the ring at a boxing gym. Holland has been boxing for some time now, so it's hardly breaking news, but incorporating boxing into his workouts prepping for Infinity War ensured that the muscle he put on wouldn't just be cosmetic. He can throw a punch for real, which will likely lend a cool air of legitimacy to any moments in which Spidey throws hands in Infinity War. Few things can inspire you to become the fittest possible version of yourself than evidence of a friend's gym progress. Seeing someone you know go from shrimpy to shredded makes your gym goals seem all the more realistic. The effect can be the same if you're already in shape and just need an extra dose of inspiration to get you through a plateau. Dave Bautista has now gotten in Drax the Destroyer shape for two Marvel films, and he managed to avoid plateauing for Infinity War by taking inspiration from a costar's progress. Josh Brolin didn't have to get ripped to play Thanos, but Thanos isn't the only comic character he's playing this year. He'll also be appearing in Deadpool 2 as Cable — and he got jacked for that role. Brolin is on the older side for a superhero actor, and Bautista took a good bit of inspiration from seeing his costar get buff for his turn as Cable. He publicly talked about how it inspired him to train even harder to prep for his role as Drax, getting the character pumped up to maximum levels of destructive capabilities. As macho as the exchange is, it's pretty endearing at heart. We're totally here for friends inspiring friends to become their best selves, even if said best self just equates to being able to deadlift a car. The press circuit for superhero movie promotion almost always entails questions about fitness. Seeing these actors get shredded for their roles isn't quite enough for us; we always want to know how they got there. Part of it is likely due to the fact that we love to demystify the process. It makes our personal fitness goals seem all the more attainable. There's a degree of exhibitionism to it too, though. Plenty of blockbuster film shoots come with urban legends about the lengths the cast went to in order to get in shape. Maybe this is why Black Panther actor Chadwick Boseman's refusal to lay all his cards on the table is a bit refreshing. Black Panther and Infinity War were shot around the same time, so Boseman's fitness routine doubled as preparation for both appearances. While he later opened up a bit more, Boseman actually kept pretty mum when asked how he was getting in shape for the film. He responded with a coy, "A lot of strength and flexibility, but I'm not going to say any more…[and] how do you know it's not kickin' right now? I might be covering something up." It's a refreshingly coy response to the age-old question — and Boseman suggesting that he was already in superhero shape is a genuinely witty response. Sometimes weightlifting and cardio just isn't going to cut it when it comes to fitness. Sometimes you've got to go outside of the box, outside your comfort zone, and outside of what your typical Hollywood personal trainer would recommend you do to get in superhero shape. Sometimes, as Black Panther and Infinity War star Danai Gurira knows all too well, you've just gotta up and learn how to use a sword. Gurira already incorporated sword combat lessons into her training to play the katana-wielding Michonne on the hit TV show The Walking Dead. While her MCU character Okoye, the leader of the Dora Milaje, might not use a katana herself, Gurira found the combat training for Michonne helped tremendously with prepping for playing Okoye. "There's a lot of ways that, yes, one helps another. There are things about using combat that help each other. Absolutely. There's a lot of new things to learn and I'm really enjoying." Gurira said regarding the similarities between the training for each role. After seeing Black Panther, we certainly didn't want to cross Okoye, so the training clearly paid off in spades. By now, we're pretty deep into the Marvel universe — more than 20 movies deep, in fact — and many of Marvel's primary actors have been around for a while. That's why they continue working out all year long, even if they aren't training for any specific film. Chris Hemsworth, in particular, maintains a consistent workout routine to stay in shape for playing Thor. When it's time to really gear up for his next MCU adventure, he can pack on as much as 20 pounds — but in between movies, he keeps going to the gym, albeit at a more low-key level. There's no reason for the cast to keep up their punishing six-day-a-week workout schedule if they aren't preparing to film. But continuing some form of consistent exercise can help them stay healthy — and also stay prepared. By keeping up with workouts, they won't have as much work to do in order to get back in fighting shape for the next movie. 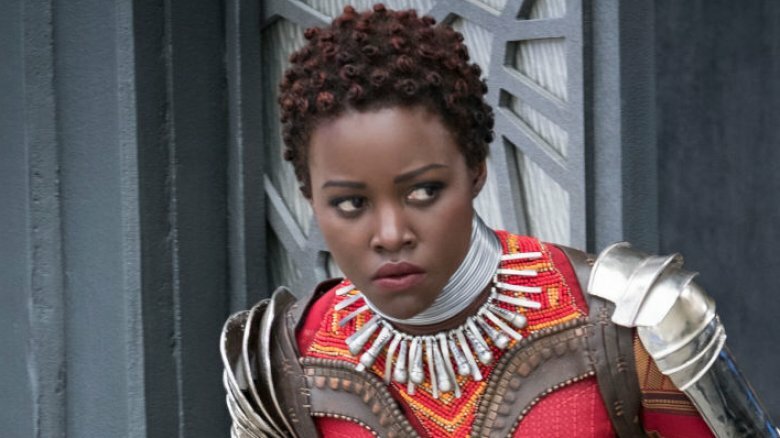 Lupita Nyong'o is a relative newcomer to the MCU — her first Marvel film was 2018's Black Panther — and she put in a lot of work to get in shape, beginning with four hours a day of workouts and moving on to two hours once she started gaining muscle. Fortunately, she enjoyed the physical challenge. "We had six weeks of bootcamp before we started filming. Bootcamp was going to Atlanta and working with a stunt team," Nyong'o said. "It's just gaining strength, stamina, and flexibility… I had to get into particularly good shape to be able to do the stunts." The bootcamp worked: Nyong'o couldn't fit into her clothes when she went home for Christmas. And her physical skill as Nakia is evident: since Nakia is a street fighter, Nyong'o worked on jujitsu, capoeira (a Brazilian martial art), and ring blades. The regimen was a good fit for her — she's experimented with martial arts since she was a child — so it's easy to imagine that her workout routine for Avengers: Endgame rests on continuing to train hard and put on muscle. 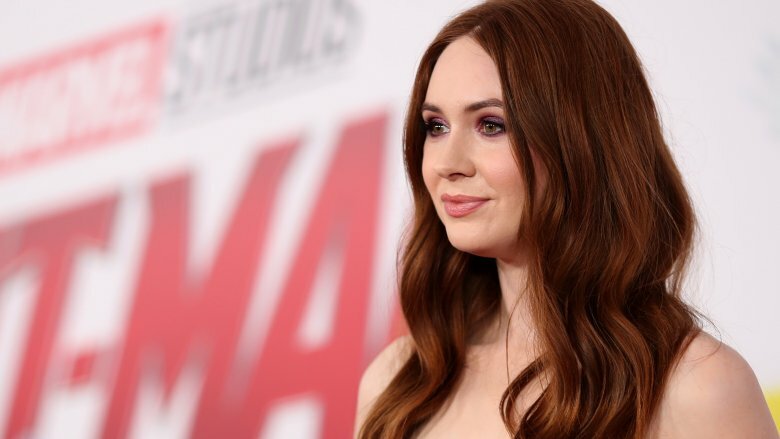 Karen Gillan debuted as Nebula in the Guardians of the Galaxy franchise before appearing in Infinity War and Endgame, and she didn't skimp as she prepared for the role. First came the workouts — Gillan told Popsugar that she didn't do any strength training before playing Nebula, so she came in with a focus on building muscle. Squats, barbell deadlifts, and other weightlifting moves played a big role in her workout routine; cardio like running and cycling upped her endurance so she could last during the long days on set. Next came martial arts training. As Gillan put it, "I had to start from the scratch in terms of learning how to fight, to look like I could do damage to someone." Finally, she also transformed her diet: eating protein shakes, apples, and almond butter all helped Gillan get the protein she needed in order to build more muscle and step into the role of Nebula. 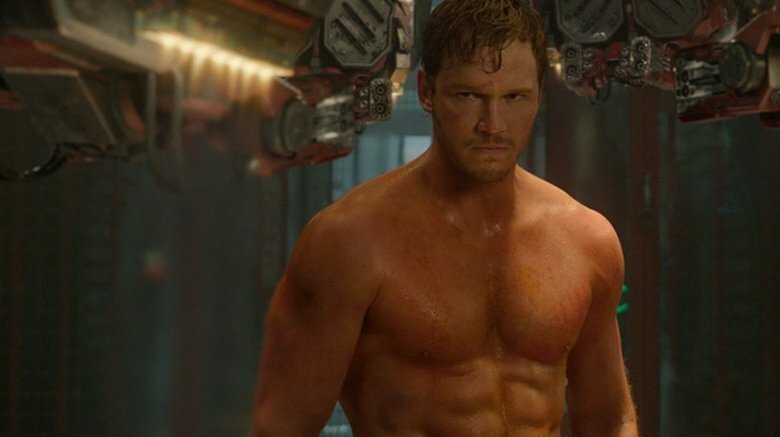 Chris Pratt, better known as Star-Lord to Marvel fans, took to Instagram to share his Avengers: Infinity War workout. In the videos on his Instagram stories, Pratt took a three-mile trail run as a warm-up and then did three sets of 120-yard hill sprints. Pratt went through an intensive training regimen for Guardians of the Galaxy, working for three or four hours each day and losing 60 pounds in just six months. During that time, Pratt also gave up alcohol, ate 4,000 calories a day in a low-carb diet, and did swimming, boxing, P90X, running, kickboxing, and even a triathlon as part of his workout routine. So when it came time to prepare for Infinity War and Endgame, Pratt was prepared — he knew what it would take. And it seems like Pratt enjoys his workouts, too. "I can do 40-inch box jumps now. Action-hero physical stuff. Jumping that high feels really good," he said when he first started training for the MCU. "When you get in shape, the world around you becomes things you want to jump on and climb on." When Josh Brolin first started preparing to play Cable in Deadpool 2, he went the low-carb route right away: No sugar. No bread. No pastas. It can be a difficult diet to follow, but it's also one that can produce results — that much is evident by watching Brolin as Thanos in Avengers: Infinity War. In addition to exercising his self-control in the kitchen, Brolin put in the work in the gym, too — Gold's Gym, according to the location on some of his Instagram workout videos. Brolin performed drop sets (perform an exercise, drop the weight, and continue until reaching failure) and other workout moves with his trainer, Justin David Lovato of Built Nutrition and Training. He's definitely put in the work, and although he can now enjoy his role as Thanos, that role came at a heavy price. Can you picture Iron Man doing yoga? That suit would definitely make it difficult, but in real life, Robert Downey Jr. is an ardent enthusiast. In 2008, Downey described his infatuation with yoga, telling TIME, "I need a lot of support… Life is really hard. I've just been at the ready, and when the opening was there, I hit it." At the time, Downey was working with yoga teacher Vinnie Marino, who would regularly lead the actor through power yoga flows. 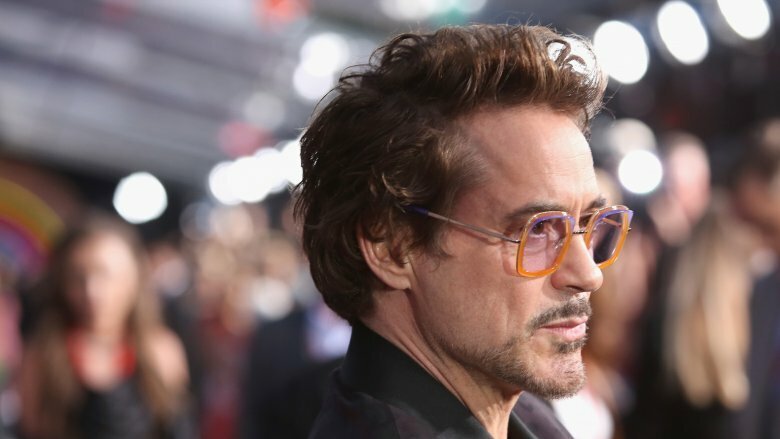 Downey was in the news for an assortment of dangerous behavior many years ago, and he's said yoga is a big part of what helped him improve his overall health and wellness and stay on the straight and narrow. Yoga isn't a shocking or particularly exciting workout; it doesn't make headlines like some of the other intense regimens other Marvel actors put themselves through. But yoga promotes strength, flexibility, and a clear mind — all good traits for the superhero ready for his rematch against Thanos in Avengers: Endgame. Through focusing on year-round fitness, staying in shape all the time so they'll be ready for the next Marvel film, some of the MCU's stars have developed a life-altering affinity for healthy living. 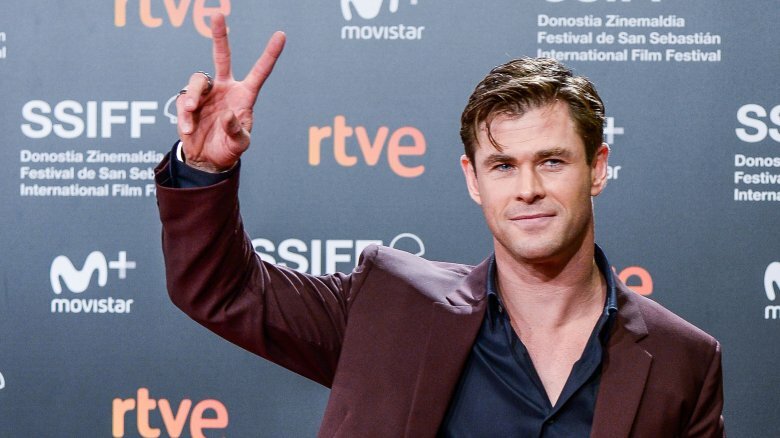 Chris Hemsworth has even launched a health, fitness, and diet app, which helps subscribers set goals and then complete short, focused workouts to reach them. "I've found that's the most effective way to train," Hemsworth said. "I used to train a lot longer, but I found myself having far more injuries and not actually getting the results I wanted." Like the rest of us, the MCU cast isn't getting any younger — and a persistent focus on regular exercise and sensible nutrition is always a great way to stay in shape, whether you're simply staying healthy or gearing up for a blockbuster movie like Avengers: Endgame.